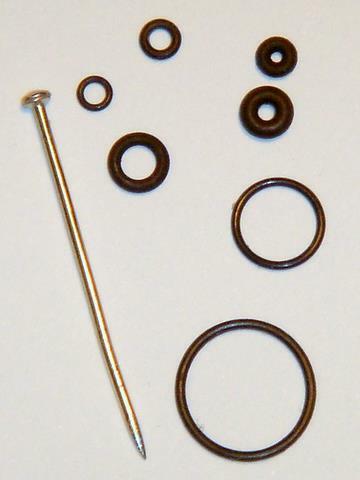 Mantek hold a comprehensive range of O-ring sizes and materials. 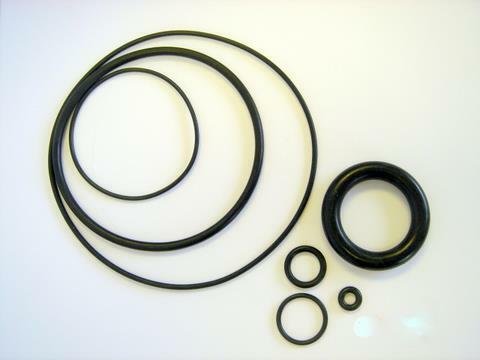 Our standard O-ring materials are Nitrile, Viton®, PTFE, Silicone, EPDM and Neoprene. We also hold some stocks of the following: Carboxylated Nitrile, Hydrogenated Nitrile, Fluorosilicone, Peroxide cured EPDM, Polyurethane and coloured Nitrile and Viton®. 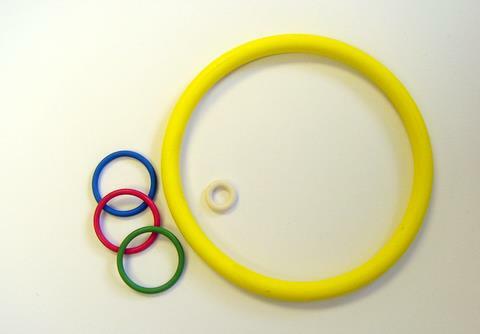 Popular sizes and grades of Kalrez® O-rings are usually stocked in Europe and will therefore be available within a few days - contact our sales office for more information. 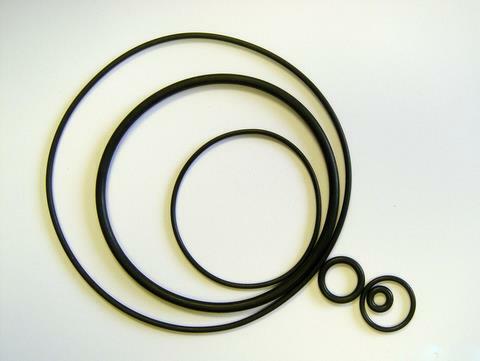 Whilst for other O-ring materials such as Aflas®, Natural rubber, Polyisoprene rubber, Styrene Butadiene rubber and Butyl rubber we can, depending on the required quantity, offer short manufacturing lead-times or even the possibilty of locating stock. 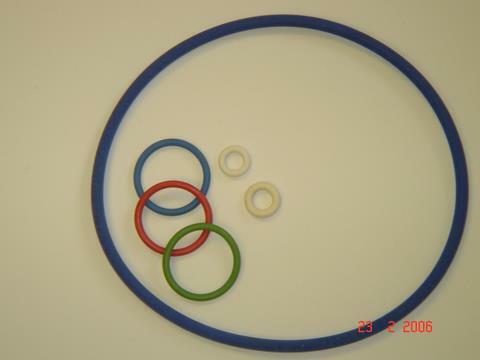 Stocked O-rings include sizes to the following international standards: BS1806, BS4518, AS568B, AN 6227, DIN 3771, SMS1586, JIS B2401, JIS W1516, ISO 3601. 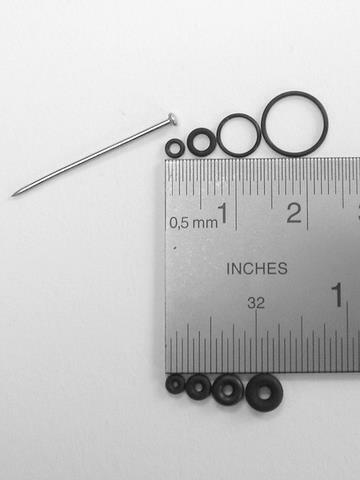 In addition we stock many non-standard sizes including miniature and micro sizes, as well as very large diameters and cross-sections. 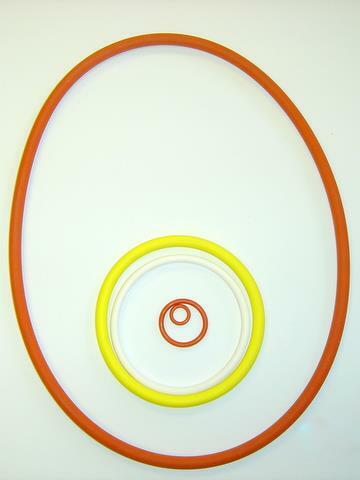 For hostile environments we offer Teflon® FEP or PFA jacketed Viton, Silicone or EPDM O-rings. We hold a limited range in stock, but can offer special manufacture on a very short lead-time. For applications where encapsulated seals are not suitable we offer Perfluoroelastomers, such as Kalrez®, Isolast® or Chemraz®. We will need a detailed description of the application to ensure the correct grades of material are offered. 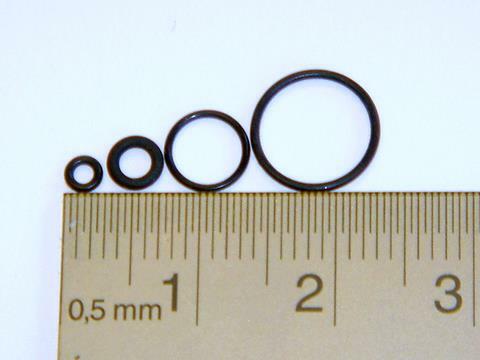 To find out about more about how to choose the correct O-ring material, standard available sizes and suggested gland/housing dimensions please refer to the Technical pages. 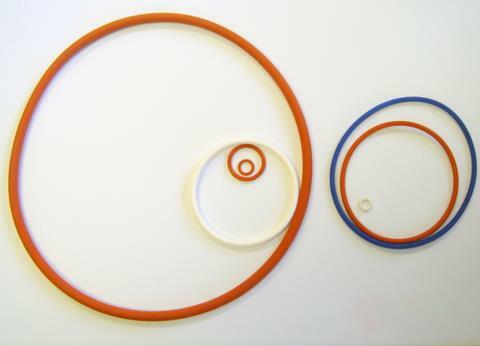 We also stock PTFE back-ups, contoured back-ups, O-ring Kits, O-ring measuring cones, extruded O-ring cords and square section strip, and adhesives. Copyright © 2009 Mantek (Manufacturing) Ltd. All Rights Reserved.